Lord Lester QC sets out why he's leading a rebellion of peers against the government's controversial BBC proposals, to be published today. Those fears are not fanciful. 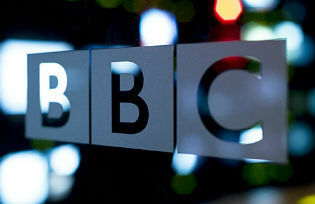 The BBC has retained its reputation for world-class programming over the last decade despite increasingly painful cuts. As Lord Patten pointed out in a major lecture at the Reuters institute last week, the BBC’s real income has fallen over the past decade by more than 15%. In the past five years alone, BSkyB’s revenues went up by more than 16% and ITV’s increased by 21%. Being effective as a public services broadcaster depends on having a guaranteed source of revenue. That is and has been the licence fee. It must be owned by the BBC, not by the government. It must not be sliced off to feed commercial rivals. The government has no business raiding it, like when it dumped the cost of free licences for the over 75s on the BBC rather than taxpayers. That undermined morale within the BBC as well as public trust and confidence. The BBC is not an arm of government that sets welfare policy and it would cause public outrage if it were forced to become one. The BBC must stand independent from government, free to call it to account. It has been rumoured that Downing Street is seeking a “break clause” to be able to renegotiate the BBC Charter at any time – so the government can hold it on a tighter financial leash. The threat of renegotiation at the government’s displeasure could easily have a chilling effect on the BBC’s content, particularly during elections. It would certainly frustrate long-term financial planning. I have asked the minister to give a public assurance that the government will not sneak out the White Paper after parliament is prorogued. With support from Liberal Democrat colleagues and a cross-party coalition of peers led by Norman Fowler, Waheed Alli and David Puttnam, I have crafted a private members’ bill to protect the BBC against coercion. My bill prevents the Secretary of State from transferring public expenditure from the taxpayer to the BBC. It ensures that the licence fee rises at least in line with inflation. It provides for charter renegotiation only once a decade, de-coupled from the election cycle, without interference in the interim. It places the governance of the BBC in the hands of an independent board, independently chosen – and not by government. It places the government under a duty to give the BBC sufficient funds to perform its functions, the level of the licence fee set according to an open and transparent process. If the government gives way on these issues in the White Paper, I will withdraw the bill. But if the White Paper seeks to diminish the BBC, I and my colleagues across the House will take it all the way. The BBC is a national treasure. If the government undermines it, we will march in the streets. Anthony Lester is a British barrister and politician, sitting in the House of Lords as a Liberal Democrat. Originally published on Liberal Democrat Voice.